Anand Pandian talks with the Cultures of Energy podcast at Rice University about the Displacements conference he organized last month for the Society for Cultural Anthropology (co-sponsored by JHU Anthropology), drawing over 1300 participants from dozens of countries around the world in an international experiment in carbon-conscious conferencing. 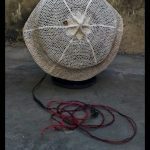 Anthropology faculty member Anand Pandian talks about the recent Biennial Conference of the Society for Cultural Anthropology, hosted as an international online event by Johns Hopkins University and involving over 1,200 participants from 50 countries around the world. The conference website remains open and accessible at https://displacements.jhu.edu. Please join us Thursday, April 27, for a public dialogue on Johns Hopkins University’s recent initiative to establish a police force. 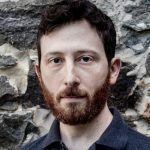 The event will be held at the West Lecture Hall of the Armstrong Building, JHU Medical Campus (1600 McElderry St.) from 5-8 p.m.
Congratulations to Michael Degani, who has been awarded a 2018 American Council of Learned Societies Fellowship for his book project The City Electric: Infrastructure and Ingenuity in Postsocialist Tanzania. Peer reviewers selected the fellows from a pool of nearly 1,150 applicants. Awards range from $40,000 to $70,000, depending on the scholar’s career stage, and support scholars for six to twelve months of full-time research and writing. 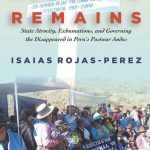 Congratulations to Isaias Rojas-Perez for being awarded the Flora Tristan Book Prize 2018 for his book “Mourning Remains: State Atrocity, Exhumations, and Governing the Disappeared in Peru’s Postwar Andes” (Stanford University Press, 2017), given by the Latin American Studies Association Peru Section to the best book on Peru published in any language in 2017. 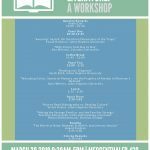 Join us from 9:30 a.m.-5 p.m, March 30 in Mergenthaler 439 for a workshop on anthropology and literature. The event features three panels, a reading, and lunch and refreshments. If as many as 80 percent of doctoral students in cultural anthropology are not getting tenure-track jobs, then why are PhD programs in the United States almost exclusively training them for a professional life that few will realize? A new essay from David Platzer and Anne Allison tackles this question head-on. The 2018 Department of Anthropology Graduate Student Conference will be held May 4-5. The conference, titled, “Being with Others in More-Than-Human Worlds,” will feature keynote speaker Natasha Myers from York University. Proposals that examine the modes of being and working with that are operative within more-than-human networks of relationality are invited. In an interview with the Social Science Research Council, graduate student David Platzer talks about his work as a user experience researcher for Adobe. 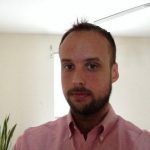 He also discusses his dissertation research on autism, technology, and social design, and he shares his perspective on connecting academia and industry.